The new year is full of possibilities, and if you’re like many Gig Harbor residents, then one of your resolutions may be to sell your home and either move to a different neighborhood in the area, or somewhere else altogether. In a previous post, we provided you with a few tips that can make the process of selling your home as easy as possible, so be sure to read through that information if you haven’t yet read it. In today’s post, we’ll continue to provide you with helpful information that can help you prepare your home for a fast sale. Continue reading below for even more tips, and get in touch with Team Aro’s Gig Harbor Realtors today if you’re ready to start the process with an experienced real estate agent in your corner! You’ve heard that it’s difficult to change a bad first impression, and the same principle applies to your home. Buyers will reach out to you if they like what they see online, but you need to impress them even further when they arrive at your home. From your mailbox and lawn to the cleanliness of your front porch, interested parties will be picturing how they would feel living in your home from the moment they arrive. If you’d like to learn more about how to improve your home’s curb appeal, refer to parts one and two of a previously published series! 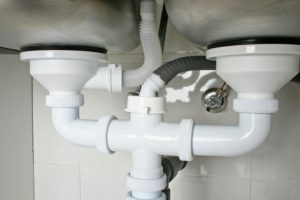 Many sellers believe that the best way to sell their home quickly is to begin taking on home improvement projects months before they start the process. While you should fix leaky faucets, power wash your siding, and fix any visible signs of damage in your interior, you shouldn’t feel obligated to invest a considerable amount of time and money into a full-scale remodeling project. If you would like to upgrade your home before putting it on the market, the kitchen is one of the most lucrative investments you can make. It’s one of the first things buyers will see in your home, and it’s also where they’ll spend a considerable amount of time if they decide to buy. 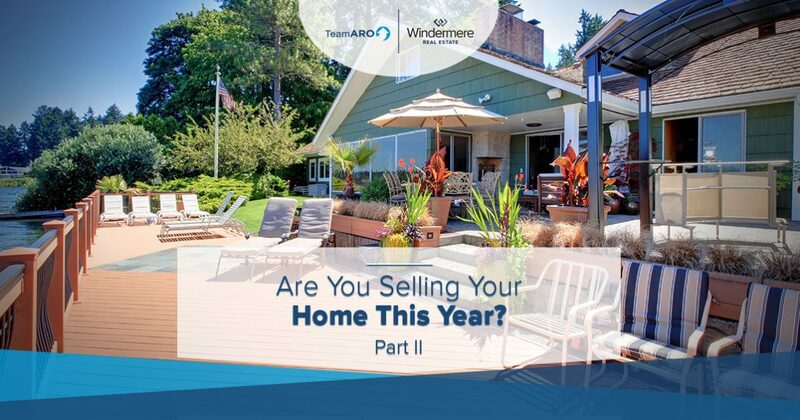 While many Gig Harbor Realtors® will help you sell your home, nobody will work as hard to help you sell your home as Team Aro. We’re Gig Harbor real estate veterans, and we’re intimately familiar with each and every one of the local neighborhoods. When buyers come to tour your home, we’ll make sure that they’re getting a full tour of both your home and the amazing local area. We’re proud of how many Gig Harbor homes we’ve sold, but you don’t have to take our word for it. You can look through all of our recent testimonials on this page, and you can view all of our recent sales here! We can’t wait to help you sell your home this year!